Is palm oil really sustainable? Bhavani Shankar, Professor of International Food, Agriculture and Health, SOAS University of London, takes us on a journey through his research on Palm Oil plantations and sustainability. With the well documented debates over health and environmental trade-offs versus economic success, can palm oil ever really be sustainable? Bhavani thinks so. Dismissing palm oil taxation as a precursor to a reduction in net economic welfare, he encourages a strategic shift from using palm oil in food to using it instead as a biofuel. “We need to avoid the temptation to oversimplify the palm oil story. It is not a linear story. 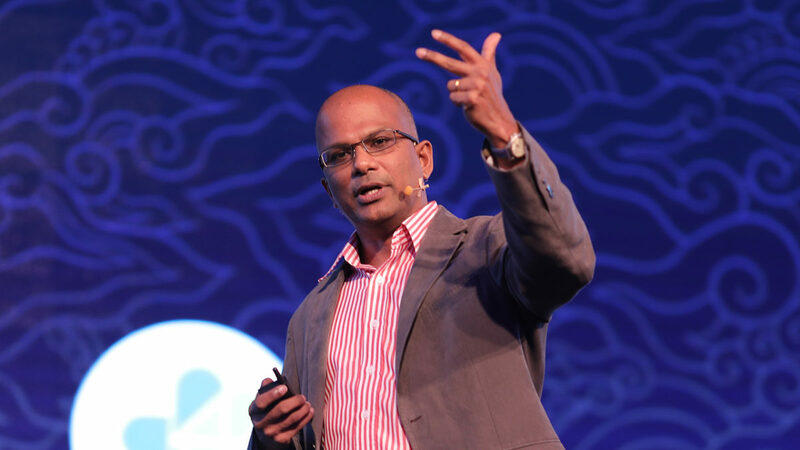 Every country setting is different, just as every policy strategy should be different,” said prof. Bhavani Shankar in this EAT Talk from EAT Asia-Pacific Food Forum 2017. Bhavani is an economist based at SOAS, University of London, working on research areas at the intersection of agriculture, food, health and the environment, with particularly reference to Asia. Originally from Chennai, India, his research interests include the analysis of economic drivers of over and under nutrition, food and nutrition policy evaluation and the food-health-environment nexus. His ongoing research projects include LANSA (Leveraging Agriculture for Nutrition in South Asia) and POSHE (Palm Oil: Sustainability, Health and Economics). He is currently an academic editor of the multidisciplinary journal PLOS One, and served as Managing Editor of the Elsevier journal ‘Food Policy’ for several years. Dr. Sandro Demaio links the problems of malnutrition and obesity to the commoditization of food, and explains how we can solve these problems. Read article "How Can We End Malnutrition?" Read article "Making Farming Cool Again | Cherrie Atilano"
Read article "Achieving Healthy and Sustainable Diets"